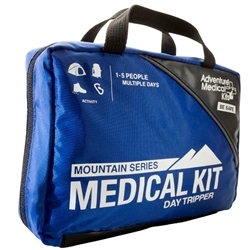 The Fundamentals kit is the popular choice for backcountry guides, medium-size groups on short outings, or small groups on extended trips. The extensive components selection includes supplies to treat a wide range of injuries, irrigate wounds, stabilize sprains and fractures, and manage illnesses. Featuring Easy Care™ organization, contents are organized by injury along with specific instructions enabling anyone to administer first aid quickly and confidently. Flexible Support Splint plus a wide variety of wraps and bandages to immobilize fractures and provide support. Size: 10.5" x 10.5" x 5.5"